Dr. Kosinski at your Service! I feel that endocrinology would be a great medical field for me to work in. Because I have juvenile diabetes and know much about it, it will benefit me when going to school. I will also be able to create a special connection and have an understanding of what my patients are feeling and going through. An endocrinologist is a specialized physician. 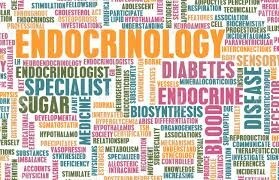 Endocrinology is a field of internal medicine and medical treatment of the human body and primary care, endocrinologists complete additional training in treating the hormone system of the body, including glands such as thyroid, adrenal, pituitary, pancreas, and glands in reproductive organs of men and women. The average salary for an endocrinologist is about $180,000 a year. However, the salary for someone with the title physician, may vary depending on a number of factors including industry, company size, location, years of experience and level of education. -4 years of undergraduate coursework resulting in a Bachelor's Degree. -4 years of medical school resulting in a medical degree from an osteopathic (D.O.) or allopathic (M.D.) program. -3 years of residency training in internal medicine. -2-3 years of required fellowship training in endocrinology (and nutrition if a 3-year fellowship).